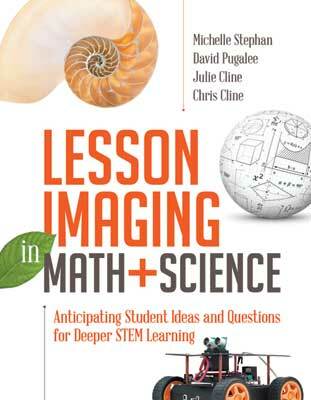 Join Michelle Stephan, David Pugalee, Julie Cline, and Chris Cline, coauthors of the ASCD book Lesson Imaging in Math and Science: Anticipating Student Ideas and Questions for Deeper STEM Learning, in an engaging webinar where they will present techniques you can use to understand the goals of inquiry STEM lessons, anticipate how students might engage in these explorations, and engineer productive whole class discussions based upon students' reasoning. These strategies encompass what we call Lesson Imaging. This webinar will be useful for classroom STEM teachers, and especially helpful for STEM coaches and administrators who lead professional learning communities. David Pugalee, PhD, is a professor of education at the University of North Carolina at Charlotte, where he serves as director of the Center for Science, Technology, Engineering, and Mathematics Education. Julie Cline earned a bachelor’s degree in education from Wingate University in North Carolina. She has taught middle school mathematics for 22 years and recently earned National Board Certification in Mathematics/Early Adolescence. After being introduced to Michelle Stephan, Cline began exploring lesson imaging in her practice. Chris Cline is a graduate of the University of North Carolina at Charlotte, and holds a Bachelor of Arts degree in mathematics and a master's degree in mathematics education. He is also a National Board–Certified Teacher in Mathematics/Early Adolescence.